Great band and would recommend you check them out as well! Great band and would recommend you check them and this album out . 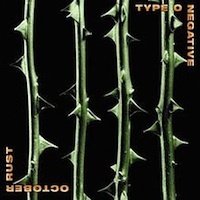 For those unfamiliar with Type O Negative the name and image might be disturbing. Who would have linked these two unnerving items to an album as emotionally driven as October Rust? Type O Negative's brilliant release is a look into the hidden side of everyone's soul...one we may keep wrapped up to never let out until the misery sets in. Who has never lost a true love? Who has never been depressed and needed a little music to make you feel better? Give this album a try...even if you aren't a fan of gothic rock you may be surprised at what brilliant songs this band can conjure up.